You've been busy, I get it. But everybody's favourite time of the year is coming up - fast. Have you settled for your Lunar New Year look yet? The annual celebration of Lunar New Year is a joyous holiday as it is the time to reconnect with family, distribute wealth and of course; indulge on all sorts of sweets and treats. But how can you dress fashionably but modestly to please your mother and grandma? How can you try festive makeup without your aunts scolding you for ruining your face? Are you prepared for your relatives giving you too much alcohol and interrogating you on your love life? Although I can't help you deal with your nosy relatives; I can help you embody the Lunar New Year spirit without looking like a life-sized lì xì. Of course, red is the first colour that comes to mind when someone mentions the holiday. From the red envelopes, to the lanterns and even the moon cake packaging. As red symbolizes good fortune, luck and happiness; you must incorporate this colour into your look. The second colour associated with the holiday is gold or yellow. These colours are just simply stunning and because of their versatility, look good on everybody. Since these colours are quite extravagant, group photos from this specific holiday can unfortunately be quite an eyesore. Let's try avoid this unfortunate mishap this year. I guarantee all your aunties will show up in a red and gold traditional qipao or áo dài. It`s a classic and timeless look, you can't go wrong. While these traditional dresses are stunning, a more modern outfit may be ideal to stand out in group photos. 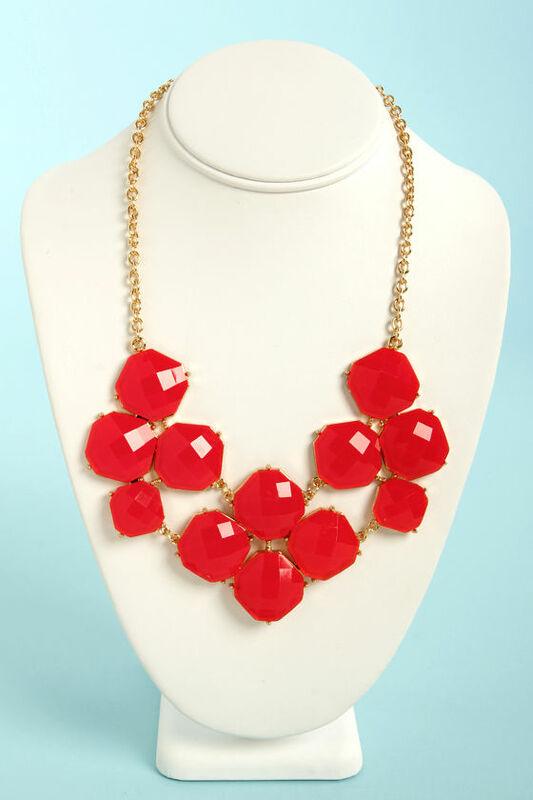 Wear a red statement piece while keeping the rest of your outfit neutral. If you don't own a piece of red clothing in your wardrobe, try going for similar colours. Mustard, burnt orange, sienna and ochre are all great substitutions. A statement necklace is the easiest way to spice up an ordinary outfit. Pair the necklace with jeans, a neutral sweater and your favourite pair of pumps if you want to dress your casual outfit up even more. 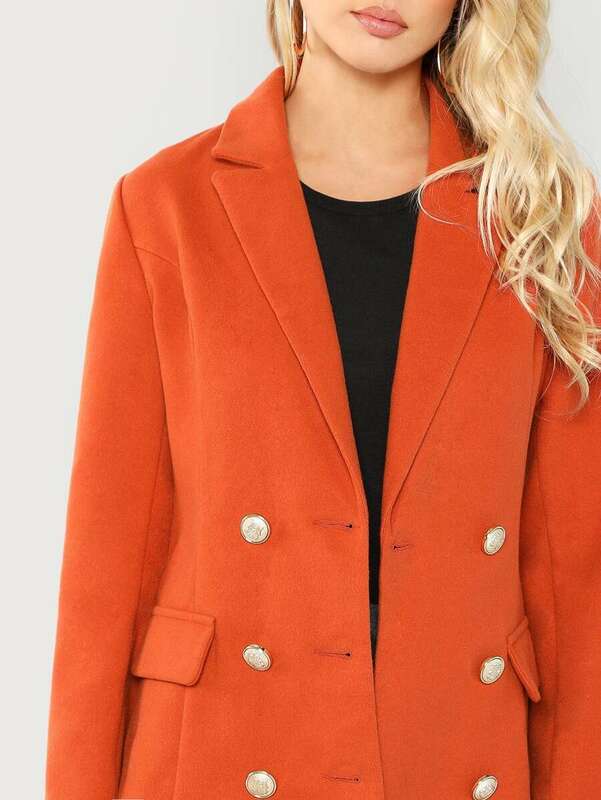 A bold, solid coloured jacket is also an easy way to incorporate colour into your New Year's look. You can wear literally anything underneath and still look put together. Now that you've chosen your outfit, let's move on to the makeup! A classic red lip is a definite go to, foolproof, Lunar New Year approved look. You can even use lipstick as your "statement piece" if you don't want to put effort into your wardrobe this year. Another way to spice up your makeup may be a little too eccentric for a family gathering, but may be perfect you're going out with your friends or significant other. Pair this dramatic look with a matching pout, manicured hands, a red blazer and you are ready to ring in the new year - with style! If this is a little too over the top, opt for a red lipgloss instead. This will give you a hint of red without being too bold. If you worried about lipstick getting all over your food, try a tinted lipbalm. This will keep your lips hydrated while giving a slight hint of colour. The product can be easily reapplied without a mirror too! So convenient! Keep the rest of your face simple with neutral eyeshadows, peach blush and go easy on the contour. Good luck surviving the interrogations from all your relatives and don't feel guilty about going for second helpings at the dinner table - feast away! Happy Lunar New Year everybody, I hope this year brings you all health, joy, wealth, good fortune and many more stylish days.